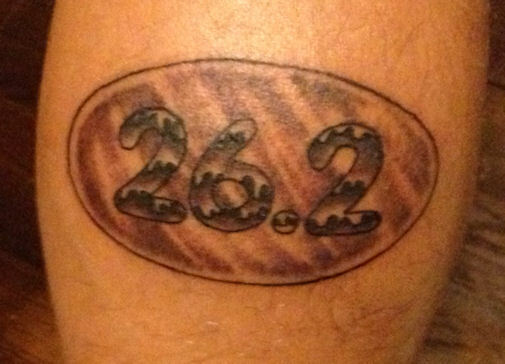 I said after I finished running a marathon I would get a 26.2 tattoo. So here it is. I now have a 13.1 on my left calf and a 26.2 on the right. I got both tattoos at Shotgun Tattoos in Terrell.